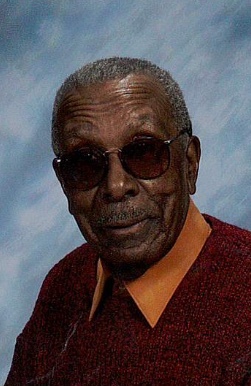 On Monday, October 22, 2018 Nathaniel Griffin Sr., went home to be with the Lord at the age of 91. He was born on January 8, 1927 in Alabaster, Alabama to his late parents, Lev & Mattie Griffin. Nathaniel was a faithful member of Mt. Lebanon Baptist Church where he served as a Deacon, Sr. Choir Member, bus ministry, laymen, he was the oldest member in age until his health began to fail, he was also a member of the American Legion Post #272, and Deacon Emeritus once his health failed. He is preceded in death by his wife, Ruth Lee Griffin; parents, Lev and Mattie Griffin; daughter, Theresa Williams; son, Ricky Griffin; grandson, Bahati Griffin and 4 sisters. He leaves to celebrate his life and to carry on his legacy, sons, Nathaniel Griffin Jr. and Gregory Allen (Deborah) Griffin; daughters, Matilda Christine (Lorenzo) Griffin and Lauvoun Bynoe; one brother; special nieces, Carolyn Lavender and Diane Dangefield; Goddaughters, Michelle Watkins and Dorothy Hunt;19 grandchildren, 40 great grandchildren; and a host of nieces, nephews, cousins other loving relatives and friends. Procession will form and condolences may be sent to 685 Garfield Street and condolences may also be sent to 679 Garfield Street, Akron, Ohio 44310.